Health employers in Arkansas and across the country have always felt the pressure to hire more registered nurses to meet population demands. But since the Affordable Care Act rolled out in 2103, extending health insurance coverage to millions of Americans, the need for more nurses has almost doubled. 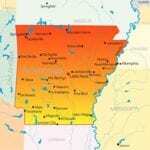 A surge in Arkansas’ population further complicates an already taxing situation. The growing and aging population require greater care. In a state that is home to almost 3 million people, 600,000 (nearly 21 percent) are over the age of 60 and suffer some sort of chronic health condition. Vast improvements in the economy are also affecting the workforce as many nurses, who would have stayed on after retirement, are leaving the workforce. Employers have to think outside the box and offer attractive compensation packages to recruit more nurses, including hiring nurses with an associate degree as a way to boost their numbers. The Magnet designation from the American Nurses Credentialing Center requires hospitals to hire more nurses who have a bachelor’s degree, but confronted with a widening pool of vacancies, associate degree nurses are the next best option. Bold steps to relieve the nursing shortage in the state – in the long and short term – will stabilize the workforce and the practice of hiring bachelor’s degree nurses will revive. 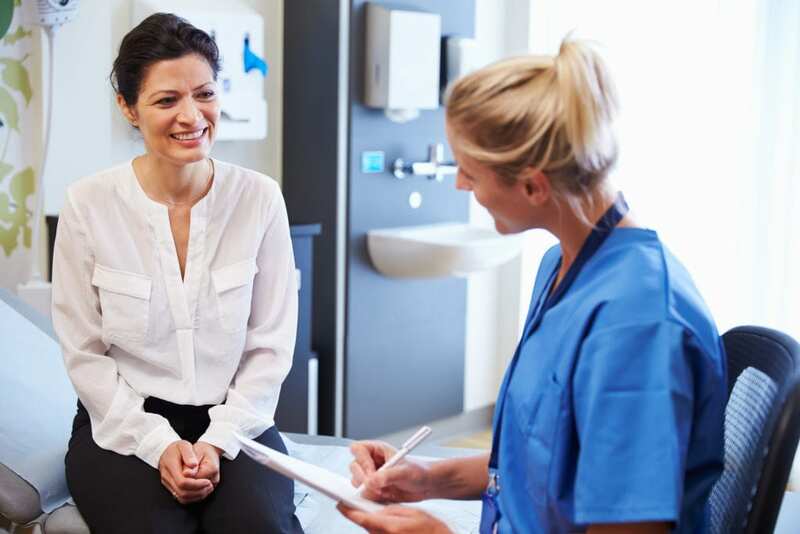 Several studies link higher nurse education with an improvement in patient outcomes. For this reason, the Institute of Medicine’s Future of Nursing Report recommends the bachelor’s degree in nursing as the minimum educational preparation for entry-level nursing. Steps to implement this recommendation are already underway as many colleges across the United States replace the ADN curriculum with the BSN. While it is employers and nursing associations making the call for better-educated nurses, RNs can also expect to reap innumerable benefits from pursuing the degree at the onset. BSN graduates secure employment faster and earn higher compensation than their ADN counterparts. More than 78% of advertised hospital vacancies for registered nurses require a bachelor’s degree. The BSN curriculum supplies advanced training in the areas of communication, leadership, public health, critical thinking, and decision-making, which empowers BSN-prepared nurses to secure positions in administration and management. The BSN RN can also branch out into new areas of interest or enroll in a graduate nursing program for advanced practice in one of the specialty areas – which leads to an even more rewarding career. The long-term benefits of the bachelor’s degree are inarguable. However, there’s a distinct short-term benefit that relates to patient care. The aging population is facing a multitude of complex conditions. Some patients suffer from multiple chronic conditions that require the knowledge and competencies of the BSN-prepared nurse. Nursing is a physically demanding profession, but the privilege of working with a healthcare team to nurse a patient back to health using the superior clinical skills obtained in the bachelor’s program is priceless. Following is a list of the various types of BSN programs available in Arkansas. LPN to BSN: Licensed practical nurses are still relevant, but there has been a major shift in their place in healthcare. The expansion in the roles of nurses as a part of the healthcare team, stricter requirements for nursing staff in hospitals, and an increase in the need for direct care providers in long-term care have a direct impact on LPN employment opportunities. Today, more LPNs are employed in long-term care settings. Those who wish to remain in the fast-paced hospital environment will need to upgrade their education and skills. The LPN to BSN program allows the nurse to complete the requirements for the bachelor’s degree in a much faster time as prior education and experience allow for advanced placement. RN to BSN: The rise in RN-to-BSN programs is a direct response to the call for better-educated nurses. Studies link better patient outcomes to the education of nurses. RNs who have a bachelor’s degree or higher have better patient outcomes and lower morbidity rates according to one study. Hospitals seeking the magnet designation are also influencing nurses’ decision to return to school. The program is designed in a flexible online format, granting nurses the ability to balance work-life-education commitments. Full-time students can complete the program in 12 to 18 month, depending on former education. Traditional BSN: Any individual, with or without a prior education or experience in healthcare, can enroll in the traditional BSN program and complete the requirements in 3 to 4 years. The prospective student must have a high school diploma and complete the general education and prerequisite courses with a grade C or higher before enrolling in the nursing department to commence the core nursing courses. Graduates receive a bachelor’s degree with a major in nursing that they can use to apply for the NCLEX for licensure as a registered nurse. Fast-track BSN: An individual who already holds a bachelor’s degree can skip the general education requirements and commence the core nursing courses from the onset. This will allow the student to complete the program in 12 to 24 months with the transfer of courses. In some cases, the student may need to complete science and other prerequisite courses before, which will extend the time needed to complete the program. To practice as a registered nurse, graduates must apply to the Board of Nursing to take the NCLEX for licensed as a registered nurse. The traditional BSN program is designed for students with no prior nursing experience. The program produces graduates who have a broad knowledge base in preparation for practice. Through extensive studies in the areas of liberal education, core competencies, professional values, and role development students are prepared to collaborate with other members of the healthcare team in the best interest of the patient. They can also function as a designer, manager and coordinator of care and have the foundational competencies to assume leadership positions in healthcare or pursue graduate study. The content on the curriculum is as important as where you enroll to receive the training. To secure the Board of Nursing’s approval to sit NCLEX, you must attend a program that is approved by the board. It is also essential to choose a program that is accredited by the Accreditation Commission for Education in Nursing (ACEN), especially if you plan to pursue graduate study. Registration as a student at the specific college before applying to the Department of Nursing. A completed application submitted before the specified deadline. A passing score on the HESI A2 admission exam. A grade C or above on the prerequisite courses. Official transcripts of all college-level work completed. Provide letters of reference from professional and academic sources. Liability insurance, criminal background clearance, BLS for Healthcare Providers, documentation of immunization (or waiver), TB clearance, and a negative drug screen report must be completed by students who receive conditional acceptance. Prerequisite courses may include anatomy and physiology, microbiology, college composition, algebra, and psychology. The second-degree BSN lets professionals take up an alternative career in the shortest possible. The curriculum is designed to allow persons who hold a bachelor’s degree to complete the core nursing cores and earn a bachelor’s of science in nursing. The prospective student must have a degree from an accredited program to transfer the general education and science courses. Prerequisite courses may apply. The intensive nature of the 12 to 18-month program requires students to attend full-time and employment is not recommended. Admission to the program requires official transcripts, a cumulated GPA of 2.0 and above, an acceptable score on the HESI A2 pre-admission exam, criminal background clearance, health clearance, a negative drug screen, personal interview, and professional references. Graduates are eligible to sit the NCLEX-RN to become a registered nurse. Unrealistic expectations or improper planning could affect your ability to complete college. Meet with a college advisor early to work out the cost of attendance, apply for financial aid, and prepare a budget to manage the expenses not covered by financial aid. Public schools are more affordable than private ones. However, admission might be competitive, especially for nursing programs. Evaluate your expenses for the entire two to four years to avoid roadblocks, as much as possible, along the way. Some expenses you must budget for include clinical supplies, shoes, uniform, living expenses, tuition, transportation, and fees. Financial aid will take into account all the resources you can use to pay your way through college, including funding from the government, scholarships, grants, family support, and private loans. Scholarships and grants are an excellent resource as they represent money you won’t have to repay. Interest-free loans from family and friends are also agreeable, especially when compared to high-interest private loans. Health care employers frequently offer aid in return for your commitment to work with the organization. Registered nurses are in a short supply, so there are a lot of employer incentives for nursing-related education. The approximate cost of completing a BSN at public universities in Arkansas is $37,375. Here’s a list of Board-approved registered nursing programs with NCLEX-RN pass rates in Arkansas.